Lenovo has brought many game changer phones this year in their respective segments. The features for Lenovo S5 Pro, the Z5 and Z5 Pro were more than just impressive. All of them have exceptional features with unbelievable prices. Now Lenovo has again come up with another smartphone that will take the competition to the highest level. We were hearing about the in display camera feature in recent times from the leaders of the market like Samsung and Huawei. 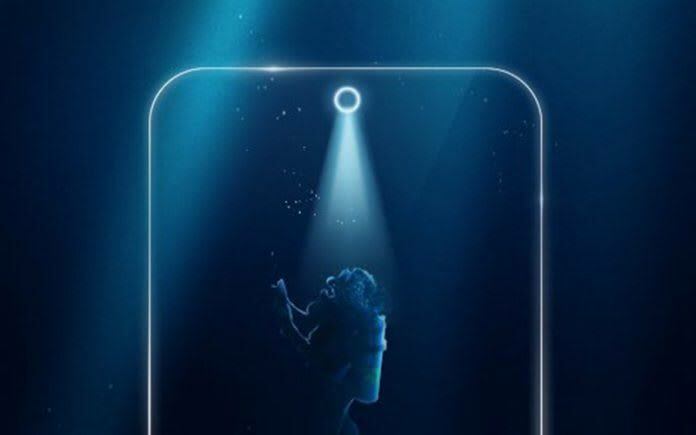 But Lenovo has also joined this list and even can beat both of them by launching the first smartphone with a hole in the display like the Galaxy A8s. But not only the display, the other specs are also interesting and can be most affordable smartphone with the camera hole in the display too. The Lenovo Z5s has been listed on TENNA and the rear photograph shows a metal like design with a physical fingerprint sensor and 3 camera holes. In the front side it may have a 6.3 inch Full HD+ IPS LCD panel with 1080x2340 resolution. That gives the display a pixel density of 409 PPI with 19.5:9 aspect ratio. The display will be protected by the Corning Gorilla Glass but we haven't the exact detail of the version that'll be used. The most attractive feature of the display will definitely be its in-display camera. The display is addressed as the "Punch Hole" display by Lenovo. Performancewise this smartphone can go a bit low as it will feature the mid range chipset from Qualcomm named Snapdragon 636. But as a budget device it definitely will satisfy customers as the processor is a decent performer clocked at 1.8 GHz having 8x Kryo 260 cores. It comes with the Adreno 509 GPU that will not disappoint you while gaming also. The software section is pretty interesting as this smartphone can be running on the latest Android Pie (9.0) out of the box as the first by the brand. But their will be a layer of their own ZUI 10 skin on the smartphone. 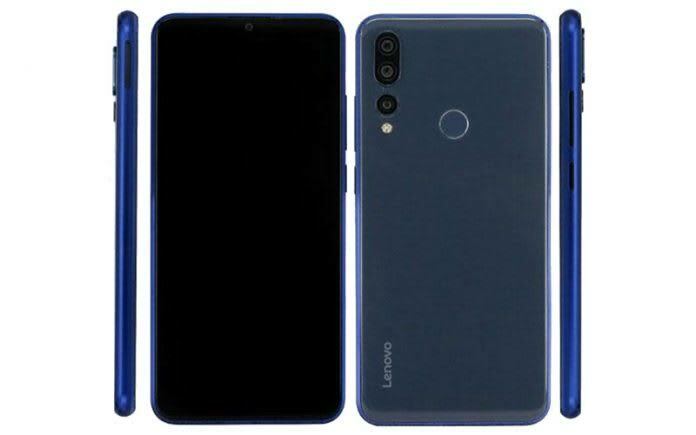 As mentioned before, there is a third camera section on the rear side of the Lenovo Z5s. This can be a wide angle sensor. The main camera will have a 16 MP sensor with f/2.0 aperture and their are two sensor with 8 MP and 5 MP resolutions. The 5 MP sensor may work as a depth sensor and the 8 MP is not known till now. Most probably it will provide wider viewing angle photos with the rear camera. In the front side, the display will have a cut out for the 8 MP selfie shooter with f/2.0 aperture. We have to wait to see the implementation of the camera in the hole and how better this technology can make our future. The pricing is still not announced of the Lenovo Z5s as the brand just has released the teaser with only the launch date, that is December 6th. The variants we know till now are the 64 and 128 storage variants with only 6 GB ram option. But leaks are suggesting another variant with 4 GB ram also. All these will be cleared on the launch day of the smartphone in China. The Z5s will come with two colour variants of Black and Blue. The battery section of the phone is a little weak as it comes with only a 3210 maH Li-ion battery with 15W fast charging support with type C port. Though the brand hasn't removed the 3.5 headphone jack in the name of space saving. The phone will have all other common specs like Wi-Fi 802.11 a/b/g/n/ac, dual-band, Wi-Fi Direct, hotspot, Bluetooth 5.0 with a hybrid sim tray. On 6th December it will only launch in China, there's no any clue if it will come to India or not. As Lenovo has not brought any of their previous launches of 2018 to India. In the launch event we will definitely waiting for the price of the phone as well as any confirmation about the India launch of the device. The specs are nearly matching up with the lower mid range phones but the "Punch Hole" display and the triple cameras make it unique. So the pricing can go quite up. But Lenovo must keep in a right budget and according to Way2futuretech, this will be a slot between $250-300 max.